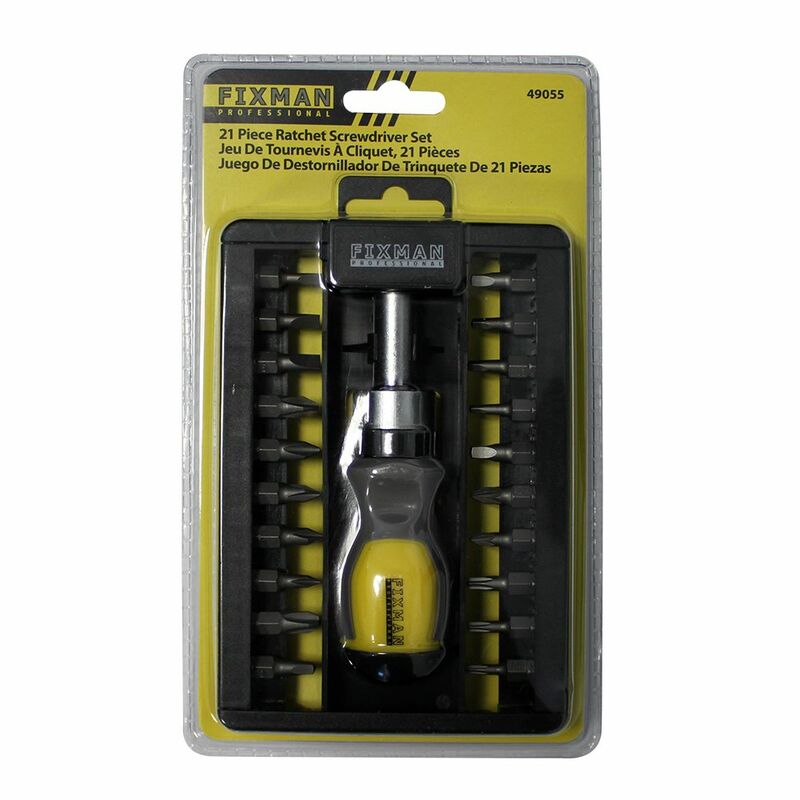 This Fixman 21pc Ratchet Screwdriver Set is made to get the job done. Designed with a comfort grip handle and constructed of heavy duty steel. Ideal multi-purpose tool. Includes: 21 pieces. 21 Piece Ratchet Screwdriver Set This Fixman 21pc Ratchet Screwdriver Set is made to get the job done. Designed with a comfort grip handle and constructed of heavy duty steel. Ideal multi-purpose tool. Includes: 21 pieces.